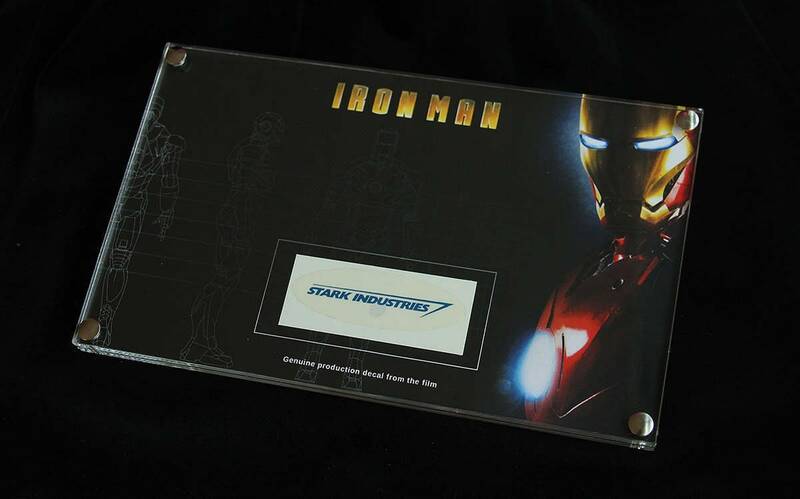 This is a genuine 'Stark Industries' logo decal from production of the hit film 'Iron Man'. These small decals would have been used to dress items on set such as equipment in Tony Stark's office and workshop. The decal is unused and still on it's backing paper. The decal is framed in our custom laser-cut acrylic frame with printed backing sheet and stainless steel fixings.